He was sold to America and this is him competing in his first Hunter Derby. 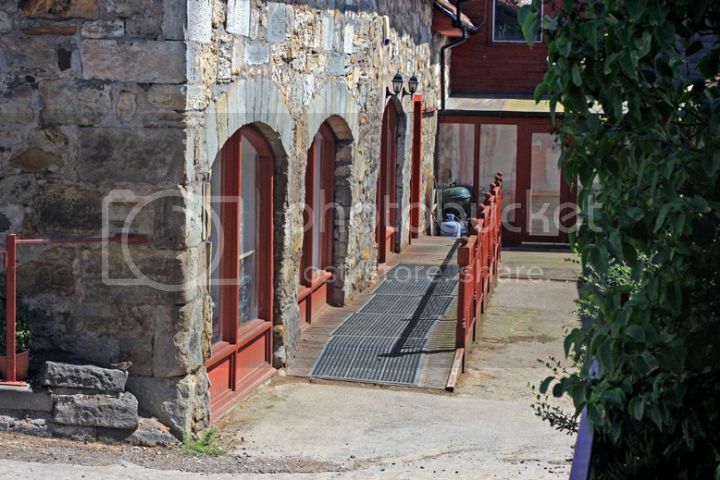 Coming soon - Balcormo Tack Shops own website! Balcormo tack shop has a range of items to suit both horse and rider from top of the range supplements to tack. These elegantly styled boots are made in quality full-grain calf leather with classic brogue detailing and an easy to use front zip. The carefully styled honeycomb elasticated side panels and leather linings provide comfort and practicality with the additional benefit of the rear leather pull loop.These boots feature a neat moulded rubber sole specially designed for riding. A robust and generously fitting boot made in water-resistant waxy nubuck leather. Fully lined in Cambrelle to enhance breathability, the boots also feature honeycomb elastic side panels allowing ease of fit and two leather pull loops. The sturdy moulded rubber soles are designed for riding but are equally practical in the yard. The Low-Mitchell family of Balcormo Stud in Leven, Fife, has decided to downsize and this catalogue offers you the chance to buy into a breeding operation that has been planned meticulously since the early 1970s. The family will retain some stock and continue breeding on a smaller scale. Peter ‘Bomber’ Nel has developed a unique, proven technology for bitting horses over the last three decades, allowing us to provide a range of bitting solutions that no other provider can deliver. The bits are currently used by the upper echelon of equestrianism in Europe, notably within Show Jumping, Eventing and Polo, and are extremely popular and highly regarded. Bombers’ unique style of handcrafted production and hands-on development means we have a range that suits horses of all mouth confirmations, and within all disciplines. Each Bombers bit is made from blue sweet iron, because it oxidises easily, encourages salivation, helps bit acceptance and is warm and sweet. These products are handcrafted with care and their quality examined at each step. They are then tested by world-renowned riders before they earn their spot on a tack room shelf. Exciting new add on to the Balcormo Shop - Try out a bit with the assurance that if it is not suitable you can return it with just a small hire cost. We have a wide range of bits which, now include the "Bomber Bits" hand made in South Africa. 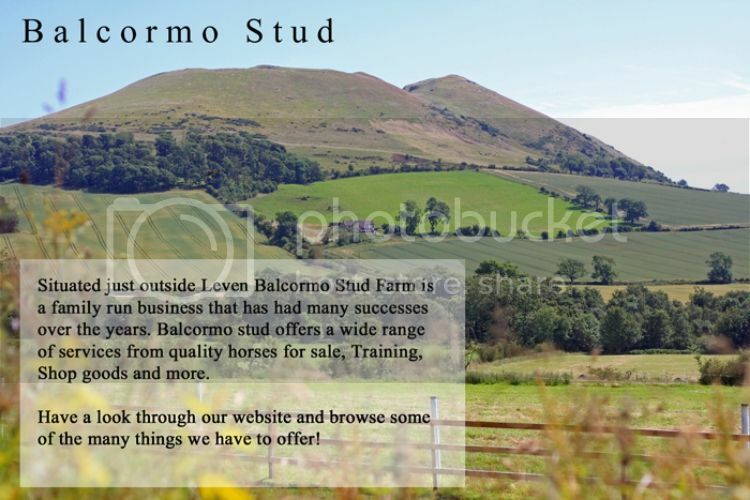 Balcormo Stud Farm is now on Facebook, have a chat with Sandra and catch up with all that is going on at Balcormo. Recommended by Sandra : Silverfeet a new antimicrobial hoof balm, perfect for daily use. We are now able to sell this product both online (in Grooming & Accessories) and in our onsite tack shop. Please read below for full details regarding this fantastic product and then order. Silverfeet Antimicrobial Hoof Balm for Daily Use. It is a unique blend of natural ingrediants with an important addition - silver. Laboratory experiments have shown that even in a very low, safe and non-toxic concentration, the silver in Silverfeet prevents growth of hoof bacteria and fungi within jusy hours of application. Reduced levels of bacteria and fungi result in stronger, healthier hoof and improved performance. Although silverfeet can be used as part of a treatment package for "infected" hooves, it is a primarily designed to be a preventative when used daily as part of a routine hoof maintenance regime. Silverfeet is not only antimicrobial but also fulfils the function of regular hoof oil by both moisturising and condtioning. Silverfeet antimicrobial hoof balm has a pleaseant smell and is formulated to a non-spill but easy to apply consistency. It is available in four colours : Natural, Girly Pink, Boys' Blue and Black: designed to encourage children to actively participate in hoof care. When Silverfeet is applied, natural hoof colour is not altered but enhanced, producing a lasting shine. Created to serve the market of riding enthusiasts, Freejumpsystem is today a benchmark in terms of innovation and high-tech products designed for the performance, comfort and safety of both riders and horses. Since 2001, date of the company’s creation, thanks to its close and lasting collaboration with the world’s best riders and its attentive response to the needs of amateur riders, Freejumpsystem has constantly improved the competitiveness of its products. This has resulted in a new Freejump collection designed to meet the requirements of amateur and professional riders alike. 2004 REVOLUTION Yann Dubourg, a riding fanatic ever since his childhood, created a revolution in the equestrian world with the marketing of his single branch stirrup with the X’UP automatic release fixture. Such unquestionable professional riders as Ludger Beerbaum, Rodrigo Pessoa and Marcus Fuchs were among the first to notice and believe in the advantages of these new stirrups in terms of safety, comfort, simplicity and performance. From then on, freejumpsystem has never looked back. 2008 DEVELOPMENT thanks to the cooperation of numerous riders, the second generation of X’UP stirrups is now on the market together with a new single branch SOFT’UP stirrup and new, high quality sport shoes FLY’ONE. Many other high-tech and high performance products are being designed to round out the range. While you're here why not try our new fully functioning online shop, for all your horse and rider needs in one convenient place. At present we are stocking supplements and a few equine essentials. If you require any assistance in finding the right supplement to suit your needs then Sandra is always available to offer assistance. Thank you for visting our website. We hope that you will find it useful and informative. If you need any help please Contact Us. Have a nice browsing session! Think ahead! Choose a good quality sire for your next foal. Check out our Stud Services page to see our range of top sires. Need a mare? Jump over to the 'For Sale' page and see some of our lovely broodmares available.